Taste of Downtown Wrap Up - San Diego Dining Dish! Remember the giveaway that I had a couple of weeks ago? The Taste of Downtown winner was treated to 42 killer samples of some of the best food in San Diego. 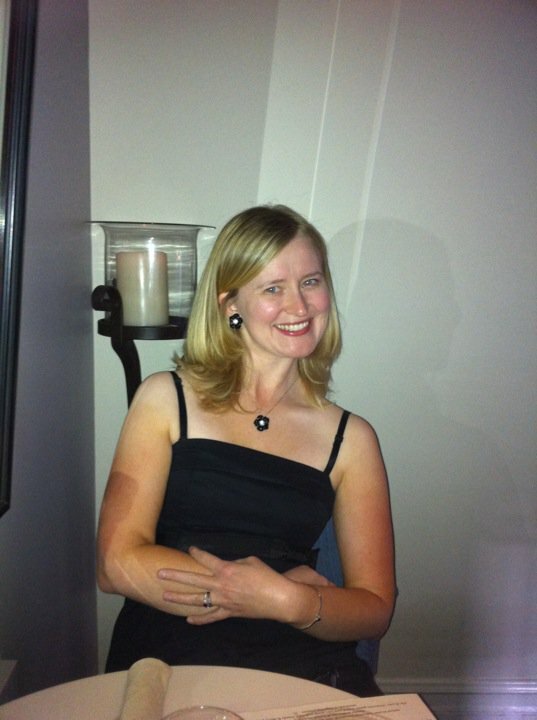 I was able to enjoy the event as well, and despite some abominable, unseasonable heat, it was spectacular! We started at a new place, Rustic Root, where the offering was a bison meatball served in sauce and a tiny square of carrot cake with cream cheese frosting. We loved Don Chido at the Toast of Downtown last December (a jolly good time! ), and this time was just as good! A mini pork empanada with a lime sauce and creme fraiche. So good! We need to make a point and visit for a proper meal. 98.1 was stationed (see what I did there?) at The Field with some Plinko and prizes for all! The Field was great as always. This year's offering was a bacon and jalapeno mac and cheese. The food is always great here, and the service friendly and efficient. You really can't go wrong here. Analog is another favorite, with a throwback to the 70s decor and a casual gourmet menu. Before I had a child, this was one of my favorite downtown spots for a drink and appetizer. For the Taste, classic sliders were served, with American cheese and all! No fancy shmancy goudas or gruyere. Just basic, classic delicious burgers with cheese and toppings! Quad Alehouse is a newcomer to the downtown scene. It's the ultimate sports bar, with a huge, wall-sized television broadcasting the game upstairs. 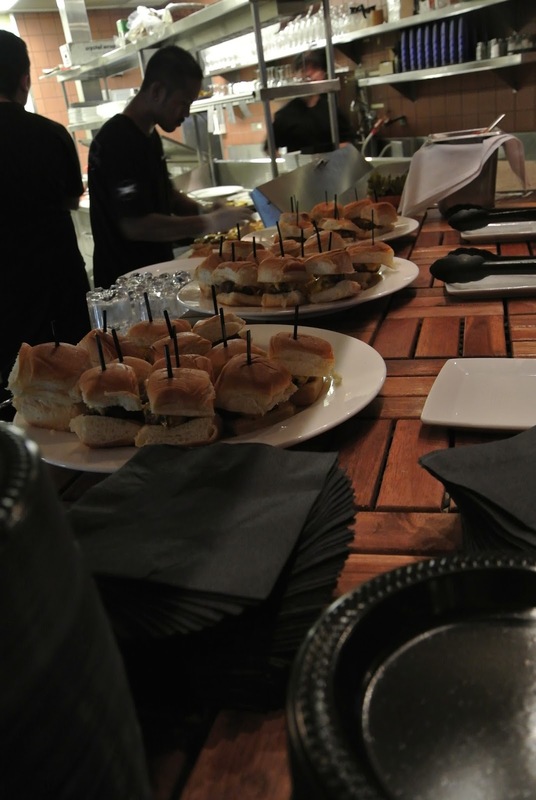 For the Taste, they served brisket sliders, a house specialty. Spike Africa is another new place in the Gaslamp -- a great reason to do the Taste event, always new places to sample! 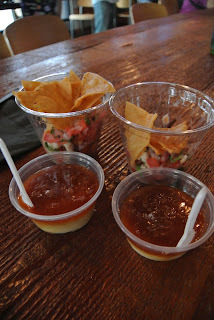 The focus is great seafood, and they did not disappoint with an offering of fresh fish ceviche! They also served tastes of their amazing butterscotch pudding! Creamy and topped with sea salt brulee, it was to die for! I'm still thinking about how good it was. The Local is worth a visit just to take in the decor. The walls are adorned with San Diego memorabilia, including posters from movies shot in the area. It's pretty cool! Lumpia was their offering. We visited many places, but the last space that I will highlight was Pizza Studio. Riding the wave of build your own pizza joints, this is a nice, easy place for the whole family serving up fresh, good pies. The sample was a slice of their yummy pizza. And that winds us up for the Taste of Downtown. It's awesome to get to try so many new places all in one evening, and I'm looking forward to returning for a proper meal or happy hour at many of the great finds (and old faves).